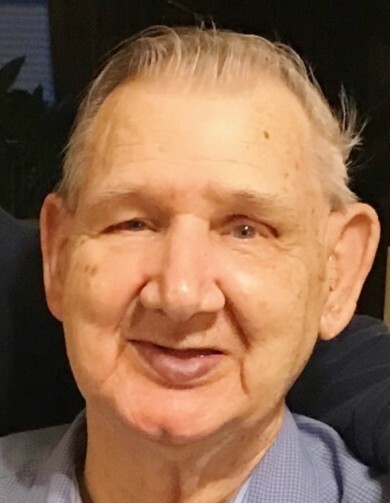 Carl Edward Clay, age 89, of Prestonsburg, KY, husband of the late Elizabeth Ann "Penny" Clay, passed away on Thursday, April 11, 2019 at the Highlands Regional Medical Center, Prestonsburg, KY. He was born February 21, 1930 in Garrett, KY, a son of the late Harry Raymond and Roxie Cavins Clay. He was a retired coal miner and a member of the UMWA and a Korean War veteran. He is survived by one son: Robert Clay, Lexington, KY, three daughters; Bridget Clay and Jaime Clay Adams, both of Prestonsburg and Melissa (Danny) Sallee, Lucas, KY, one sister; Janet Stephens, Dayton, OH, five grandchildren; Joshua and Matthew Bowlds, Justin, Micca and Felicia Clay, eight great grandchildren; Kameron and Brennen Bowlds, Kaziah, Keanan and Ellie Schwartz, Ein, Tevin and Keiryn Gipson, four nieces and their families; Elisse Brown, Glenda Newingham, Brenda and Michelle Stephens and one precious grand puppy: "Roxie"
In addition to his wife and parents, he was preceded in death by one son: Carl Douglas Clay and one sister; Brenda Joyce Music. Funeral service for Mr. Clay will be conducted on Sunday, April 14 at 1:30 PM in the Hall Funeral Home Chapel with Kevin Jett officiating. Burial will follow in the Gethsemane Gardens, Prestonsburg. Visitation is Saturday 4-9 PM at Hall Funeral Home, Martin, KY.